Sustainability has come a long way in the last 10 years. It's now common language in boardrooms across the world. Most companies have someone who has a title that includes the world Sustainability, CSR, Value Creation or Shared Value. This is a great achievement and we should all be thrilled with this cultural shift. But we're not there yet and lately inspiration has been lacking. Let the SDGs lead the way with a competition that will inspire. Sustainable Development has proven to be an elusive target. Many of world's most significant social and environmental problems not only remain but in some cases, they're getting worse. In many regions, people still lack access to basic services like clean water, sanitation, family planning and reliable communications (among others). Similarly, environmental challenges such as climate change, biodiversity and habitat loss (aquatic and terrestrial) all need urgent attention to halt and reverse decades-long declines. To further complicate issues, many of the challenges are highly interconnected as they traverse borders and poorly align with the narrow goals of business. For example a bottled water company might rely on a nearby creek or a local creek ecosystem for their supply and would thus work to protect that water as a necessity for their business. The investment of time and capital can be easily justified and the company can simultaneously feel good about their efforts to protect the environment – a win-win. The next era of sustainability leadership will generate social impacts on an entirely different scale. But the market system fails miserably to protect when larger environmental issues come into play, such as; biodiversity protection, aquatic and terrestrial ecosystem health and climate instability. While all of these issues can play a role when it comes to the bottling companies supply of fresh water, via their local creek, the company will find it difficult to justify investing in these problems which cause an unquantifiable impact on their business and thus is beyond their scope. And with that uncertainty built into the business model, most companies do little or nothing to address these environmental and/or social issues. They leave it for others to act....the classic tragedy of the commons but on a global scale. This failure for business is ground zero of the sustainable development dilemma and how business attempts to find a profit opportunity while operating more sustainably. One recent milestone of the global community was the creation, in September 2015, of the United Nations Sustainable Development Goals (SDGs) also known as the Global Goals or 2030 Agenda for Sustainable Development. 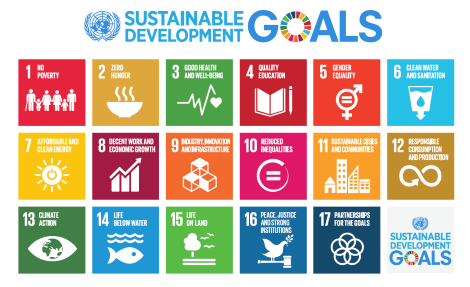 The SDG's which have been adopted by 193 countries, serve as a collection of seventeen north-star goals ranging from poverty elimination to climate change. Thanks to this initiative, we now have a big picture and easy to understand breakdown of our global challenges. While in many cases progress remains slow, it is important to remember that the corporate sustainability profession is relatively new and is constantly changing. Less than five year ago, leadership was defined by LED retrofits, paper reduction campaigns and corporate green teams.. A focus on supplier engagement, materiality assessments, sustainability reporting and disclosure programs soon followed. Then came the rise of creating shared value, responsible investment and the corresponding demand for corporate ESG data. Despite their various contributions to the field of corporate responsibility, the next generation of sustainability leadership will generate social impacts on an entirely different scale. Increasingly, industry voices are calling for entrepreneurs and corporate intrapreneurs to create profitable (and scalable) solutions. Project Breakthrough, co-developed by Volans and the United Nations Global Compact, is one such leading example. Venture capital firms – like DBL Partners, Acumen and Chrysalix – are investing in companies that solve social and environmental problems via their business models. Acumen has invested USD $65 million by funding more than 100 companies that serve low-income customers in 13 countries and DBL manages two funds worth USD $225 million. Leading corporate citizens have also created in-house venture capital firms to support their environmental and social goals (Patagonia's Tin Shed Ventures, IKEA GreenTech and The Unilever Foundry are among the most well-known examples). A recent Volans report titled Investing in Breakthrough Corporate Venture Capital suggests that firms like these are helping to "... transform the way we collectively think about global challenges — [by bringing] promising, viable and effective solutions to scale". Concurrently, the hunt is on for innovative financial structures that can support the development of these companies. The Rockefeller Foundation is currently working to develop ten financial structures, dubbed SDG Finance Unicorns, that can "... mobilize at least USD $1 billion each for sectors key to meeting the Sustainable Development Goals". This new combination of SDG venture capital and innovative SDG finance models has turned the sustainability industry on its head as exciting new companies like Off-Grid Electric and Bird have raised more than USD $400 million in private investment. Off-Grid Electric's pay-as-you-go solar panel leasing service currently has 50,000 customers across Tanzania, Rwanda, Côte d'Ivoire and Ghana. By allowing customers to pay for solar energy in installments (via mobile payment technology), Off-Grid Electric has reduced kerosene lamp use, increased access to energy and reduced direct GHG emissions. Bird, an electric scooter-sharing technology company, is currently valued at more than USD $1 billion. Customers can rent a scooter via their mobile app for $1, plus 15 cents for every minute. With more than half-million rides completed since September 2017, Bird has reduced travel related GHG emissions by creating a market based solution to public transit's last mile problem. Rather than focusing on the cost of achieving the SDGs, sustainability professionals should consider their enormous market potential as indicated by the examples above. The authors of a recent Business Commission Report titled Better Business, Better World: The Business Case for the Sustainable Development Goals came to similar conclusions. According to their analysis, "achieving the Global Goals will unlock USD $12 trillion in new market opportunities by 2030". The Global SDG Awards was recently launched to support this new era of sustainability leadership – specifically, by driving private sector SDG engagement through competition. To learn more please visit The Global SDG Awards website. Did Facebook, Microsoft, and Google Really Just Sponsor an Event With a Climate Denial Session?